It has to be said the 3 times World Champion Eddy Lejeune by his own description was heavily dependent on Honda. 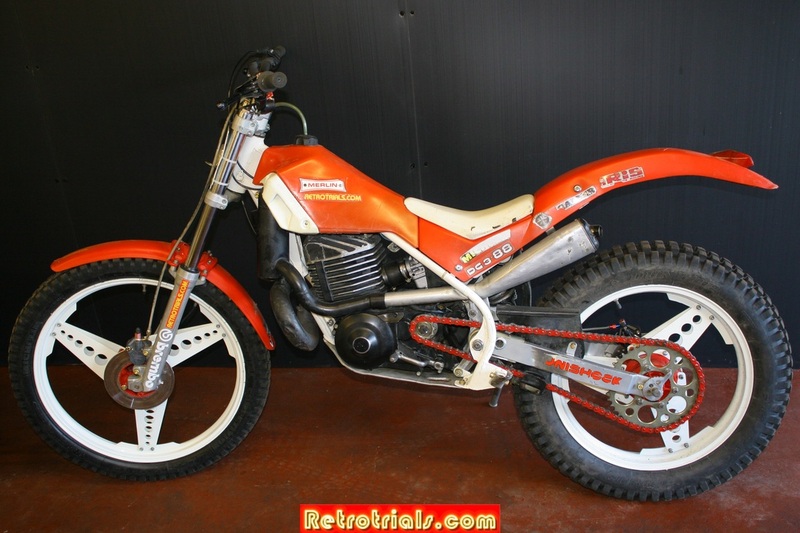 He had ridden the brand continually from is very first days in trials and had become used to the bike , the behaviour and the mechanics. 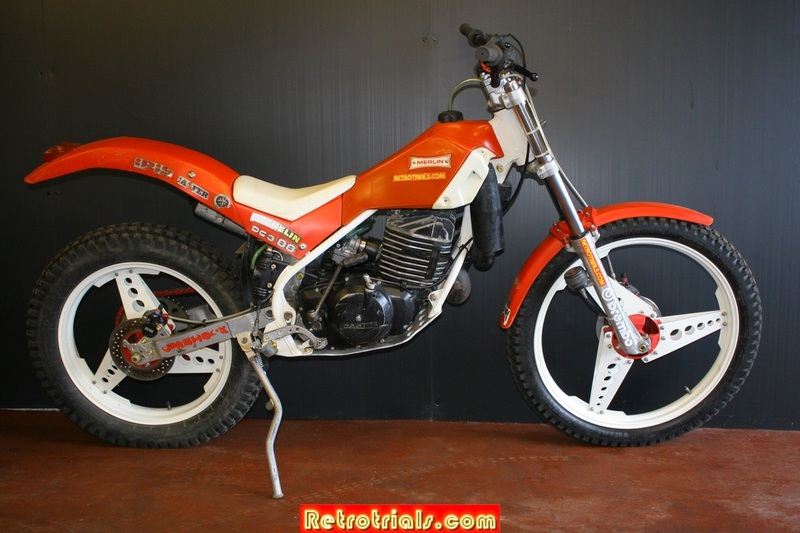 He had helped to develop the machine from the small bike Honda inherited from Miller. Lejeune also naturally loved the deal Honda had signed him up on , which was understood to be one of the better rider deals. 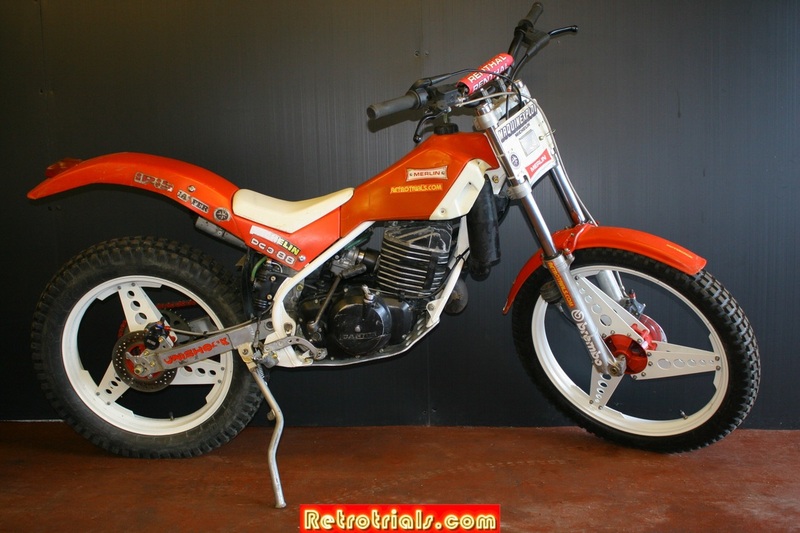 When Eddy was interviewed by Retrotrials.com he very modestly said that it was the clutch of the Honda ,that have enabled him to win his 3 World Championships. The Honda clutch throw is short and the bite is fast with a reasonably light lever action. 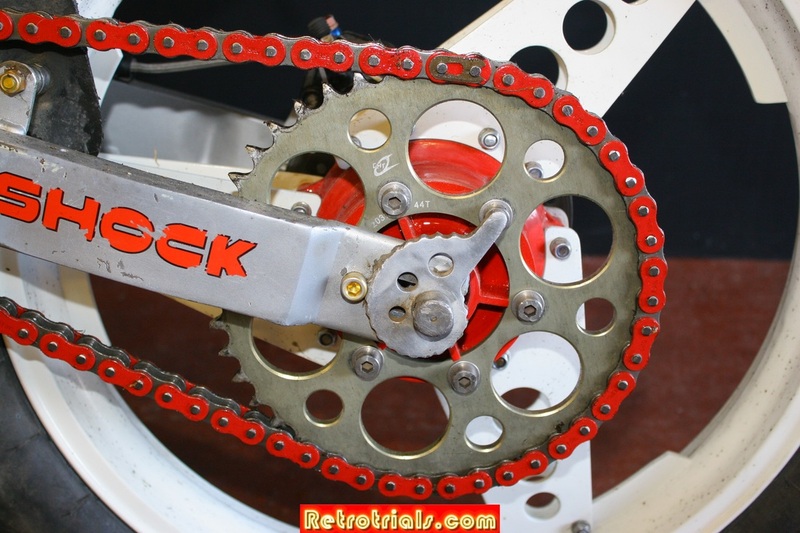 After his entire career spent riding a Honda, Eddy was clearly reliant on this clutch . Not surprisingly he didn't want this to change. It's fair to say that the hugely gifted Lejeune was massively understating his own efforts and talent but never the less you get the point that he is trying to make. In reality Lejeune was one of the first trick riders in Trial. It was this ,coupled with his incredible fitness ,riding talent and a special one off Honda factory bike that all came together to bring success. 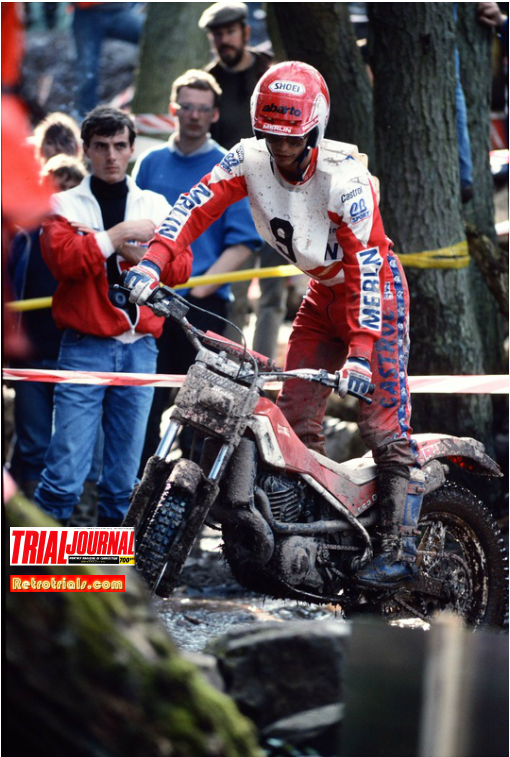 Despite high hopes and a big budget team ,after an unexpected and unfortunate case of the nerves compounded by exhaustion from no sleep the night before the last 1986 World round in Finland , Eddy had a disastrous event resulting in 9th . He fell to pieces. Knowing that the faults lay with him and not the Honda that had brought him so much success ,he chose to privately fund the 1987 season with his own sponsors and financiers. 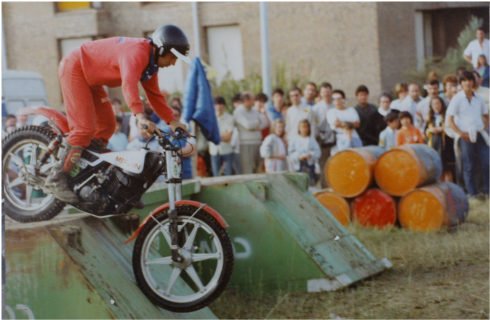 However a new breed of trick rider had arrived and trial as a sport moved up a bar. With a disappointing 9th place at the year end Eddy knew he only had a limited amount of time . He was also unhappy with his team structure and the relentless pressure on him to find cash to continue. He had no manager , he did everything with his partner Dominique. Roque Tabares was a successful Spanish trials rider , competing in the Spanish Championship during the 1970's and early 1980's. 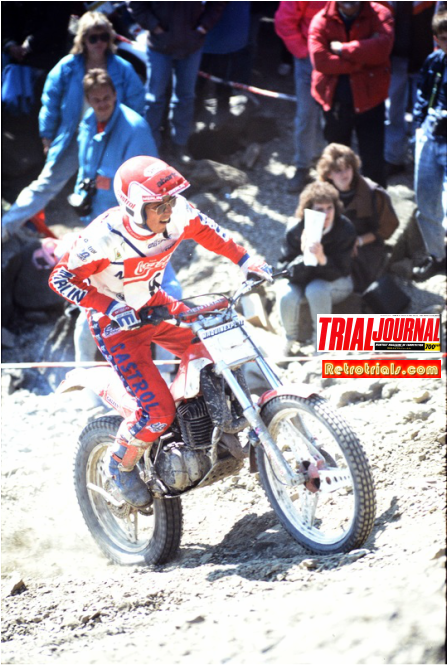 In 1983 Roque started the motorcycle shop Hobby Moto. He was a main dealer for a number of different marques , but specialised in Merlin. 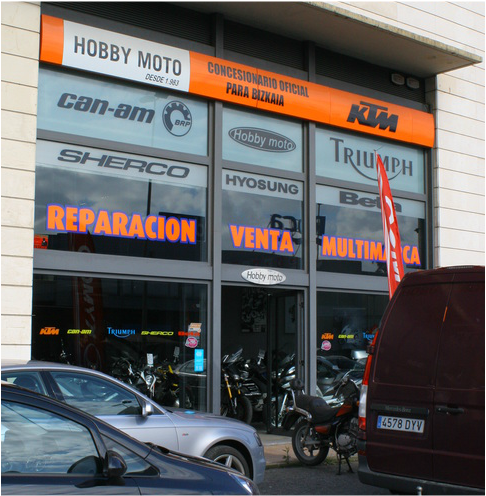 In fact Hobby Moto was the best selling and largest Merlin dealership in Spain. 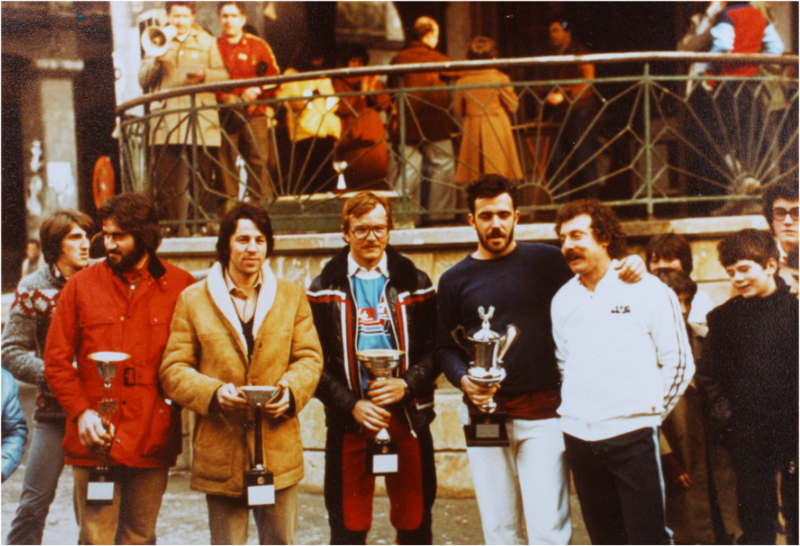 As a result he had a great working relationship with the Merlin partners Johnny Regas , Pere Arpa and factory . Through his riding he is also friends with Ignacio Bulto. Whilst Merlin were exported only in small numbers , a lot more were sold in Spain. Team Merlin Hobby Moto- This is the largest number of Merlin i've seen together , apart from my collection :). 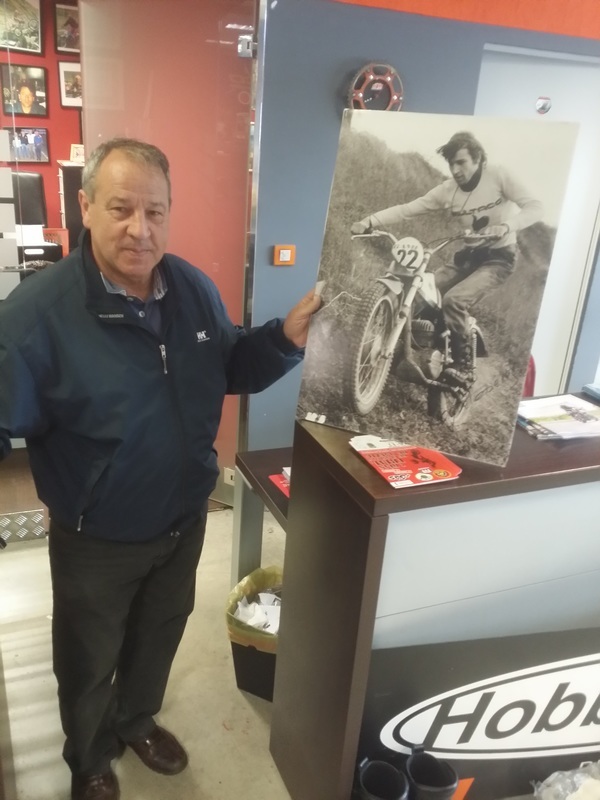 Roque Tabares today along side a photo of the hobby moto dealership. Eddy's bike features the same modifications as the 2nd Eddy Merlin in the ownership of Ignacio Bulto. 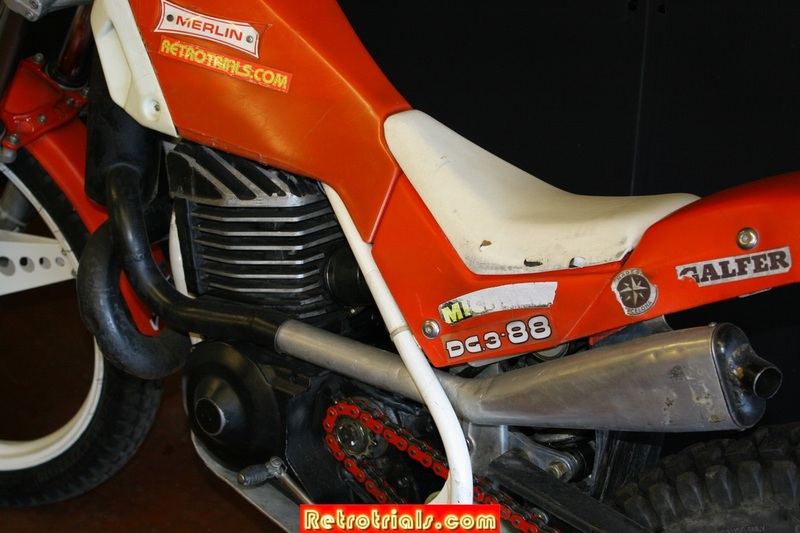 The Merlin is powered by a 350cc Cagiva engine . 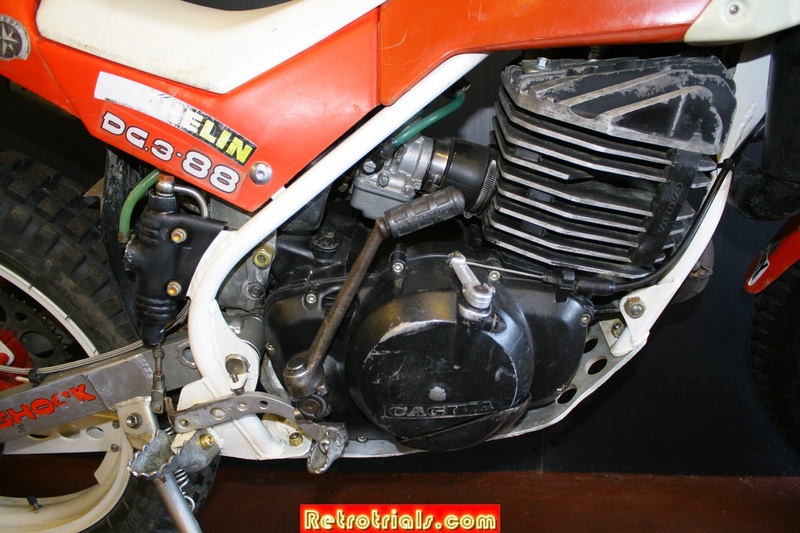 This very same engine was fitted to a number of cagiva Trail models , sold in Italy. 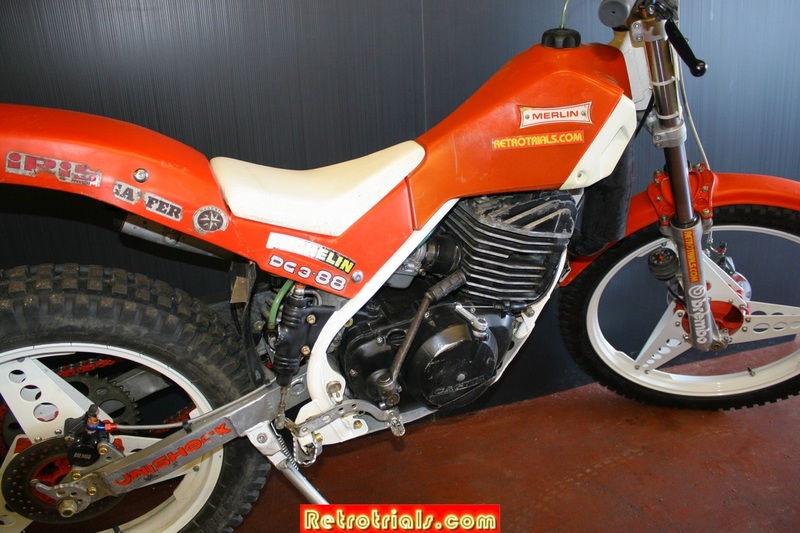 Merlin approached Cagiva and agreed to by their engines for this trial model. 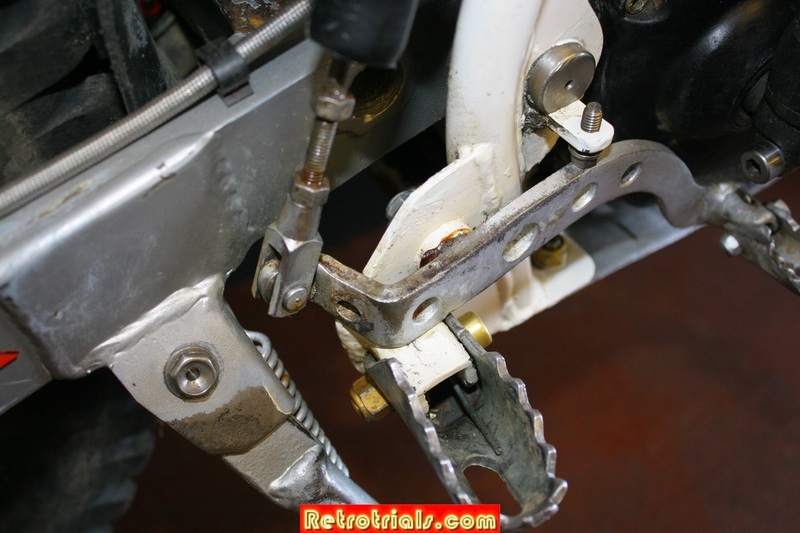 Cagiva modified the gear ratios for Merlin. 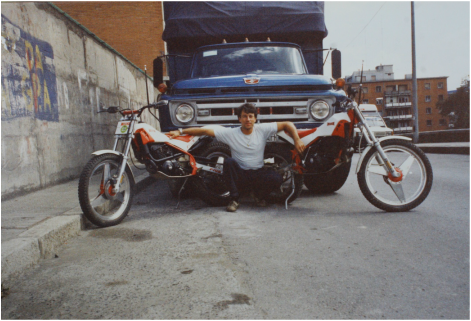 Ignacio Bulto approached Eddy Lejeune and offered him a deal of 3 bikes and an on target potential income of $150,000. This is recorded in his interview with retrotrials.com. 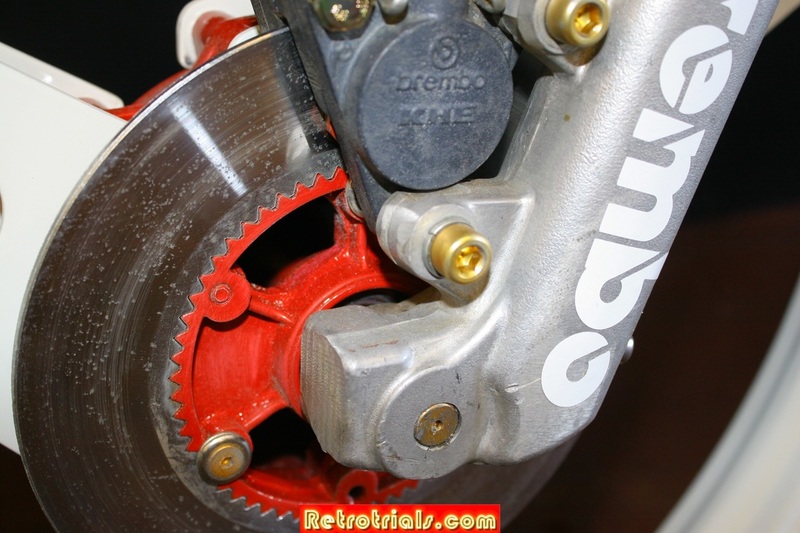 Whilst Lejeune was happy with the Merlin clutch , Ignacio Bultaco also tells Retrotrials.com that much work was carried out to heavily modify the clutch to bring it to Eddy's high standards. 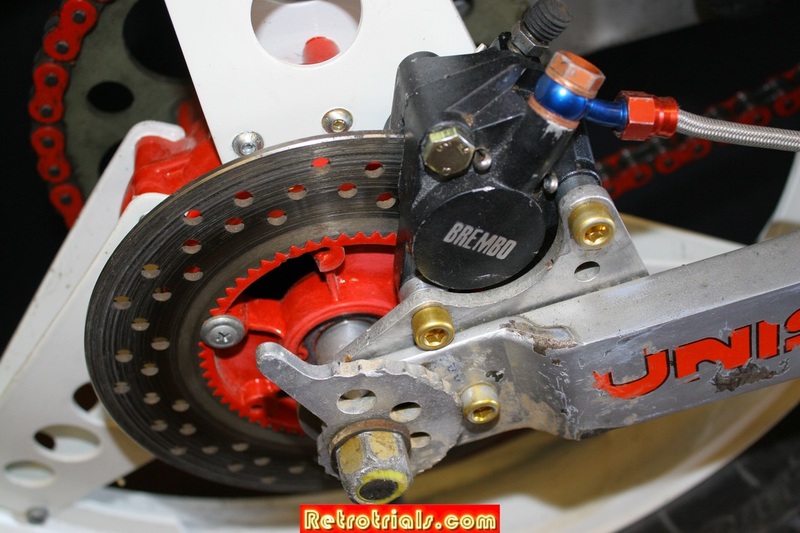 In fact Bulto stated that Eddy's Merlin was fitted with a Honda clutch. The clutch on this Merlin has clearly been modified . The pull is very light . The lever throw between in and out is very small. 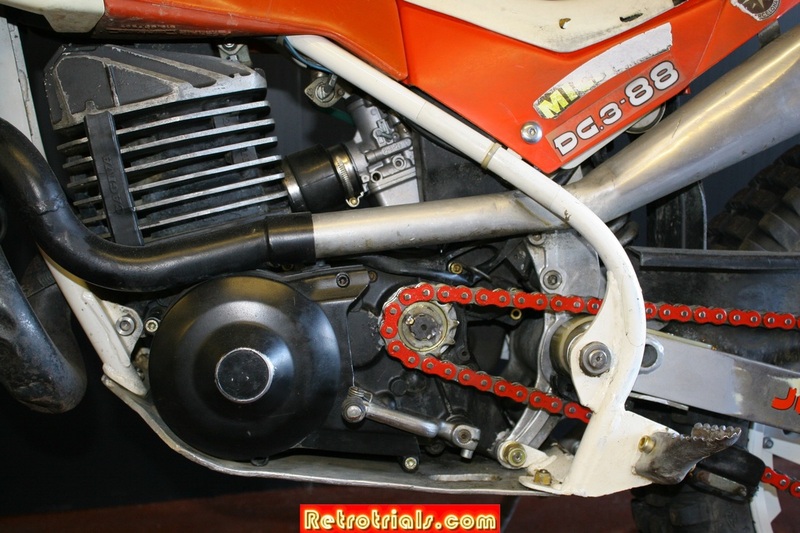 This is completely different to the long throw of the standard Trail bike clutch. When the lever is pulled in , the clutch chatters . I have never heard this before on a Merlin . 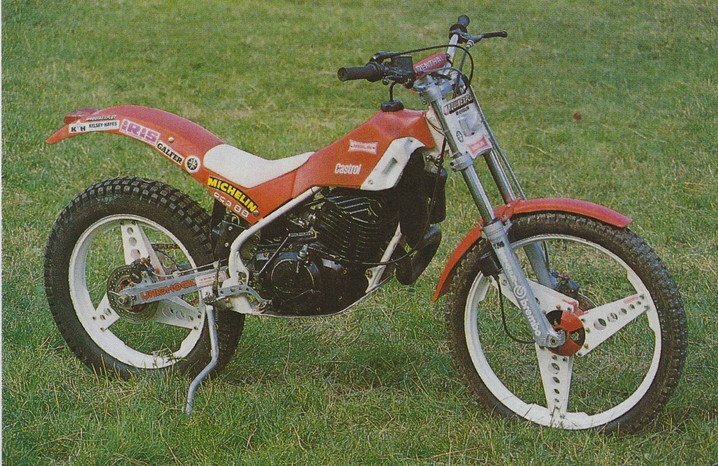 It sounds like a modern GasGas clutch chatter. 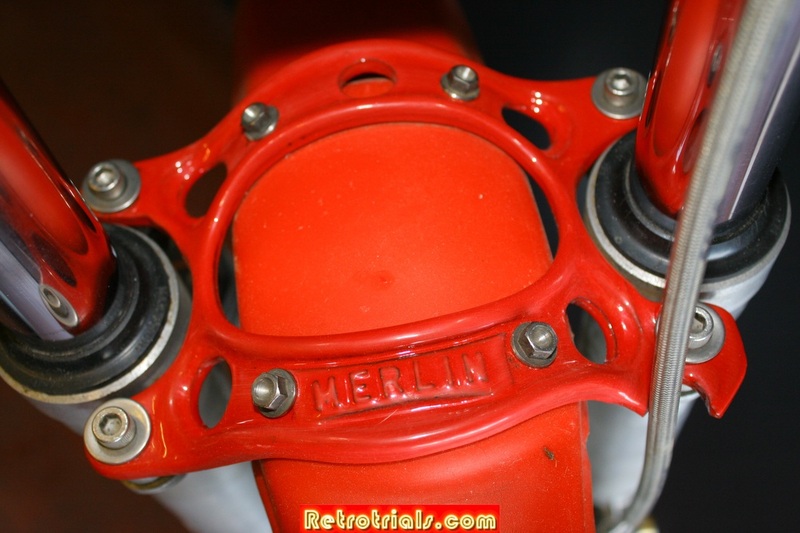 The standard Merlin clutch is totally quiet. The pull is very smooth. Special alloy silencer made by Jormons. The front exhaust system has been special fabricated out of thinner steel. 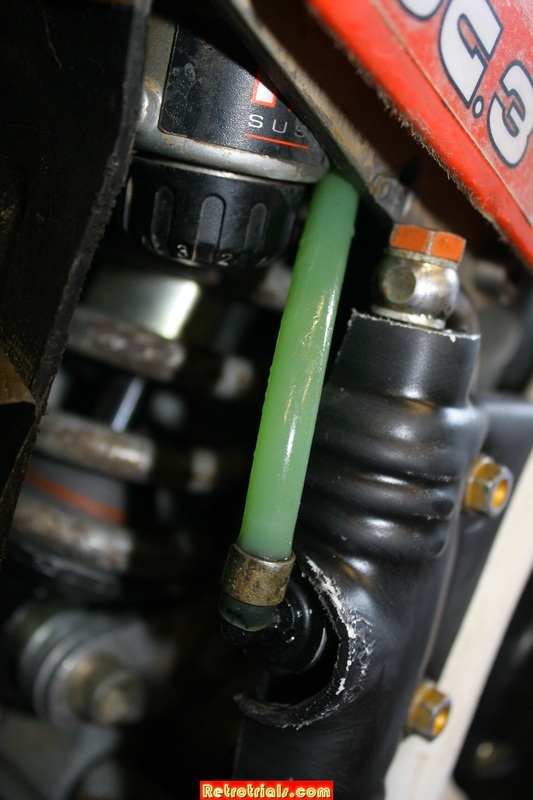 The expansion chambers on both sides have been enlarged upwards , significantly to improve bottom end power. The thick alloy sump shield has been holed to reduce weight. The Lejeune Merlin features an adjustable rear shock with a fast action for hopping . Custom rear subframe. 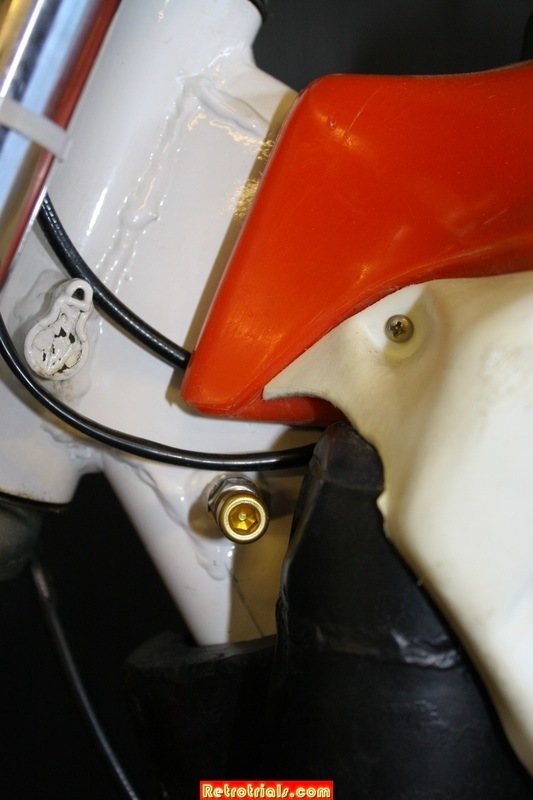 The chassis has been cut at the head stock and the angle of the forks adjusted inwards to increase the steepness. Drilled titanium bolts, factory special nagesti hubs and upgraded brakes. 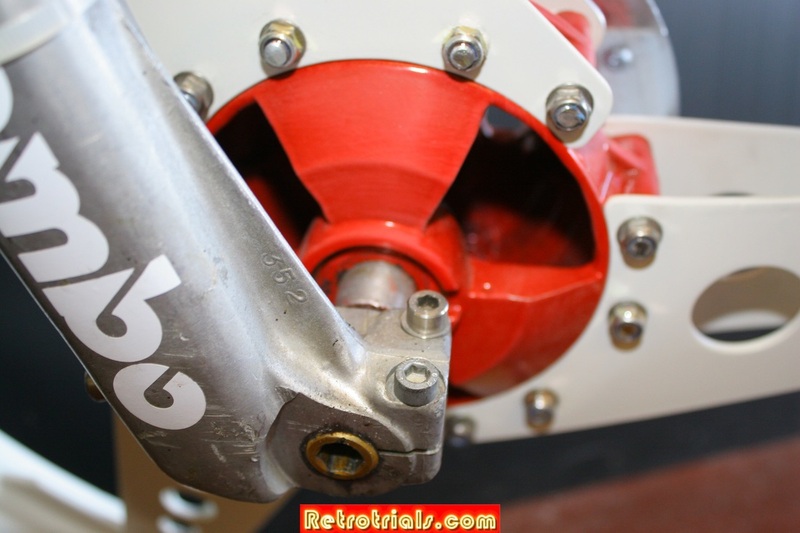 The wheel and swinging arm spindles are titanium with Ergal nuts. Alloy and titanium bolts are festooned everywhere. The front wheel hub has been modified as has the rear. Eddy rode with Merlin for 1988 only. During this time he modified and improved his machines heavily. 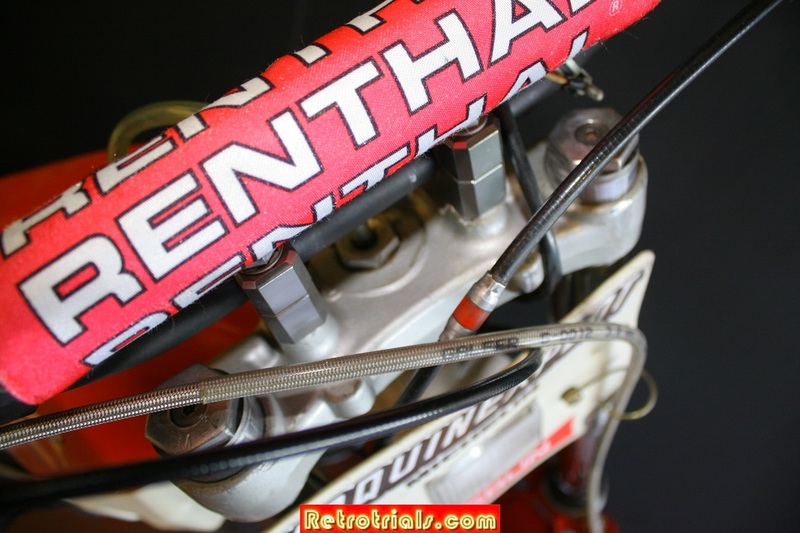 Modified bar raisers, factory drilled and shaped cast alloy fork brace . 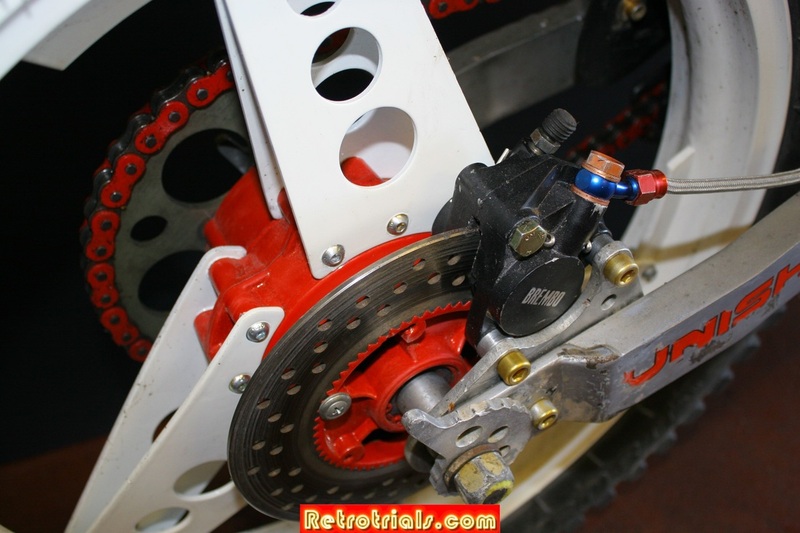 Completely custom swinging arm. The rear of the engine on the standard Merlin has a compartment which would house an oil pump for a pre mix system. On this Lejeune Merlin the compartment has been completely removed of its casings. Factory modified wheel rims to reduce weight. Almost all nuts and bolts have been replaced with lighter alloy , Ergal or Titanium items. The front forks have been heavily modified by Lejeune. The front suspension on the Lejeune Merlin is remarkable. It is fast and responsive but offers a progressive damping to stop bottoming apart from in the worst situations. They are remarkable and up to modern day standards.